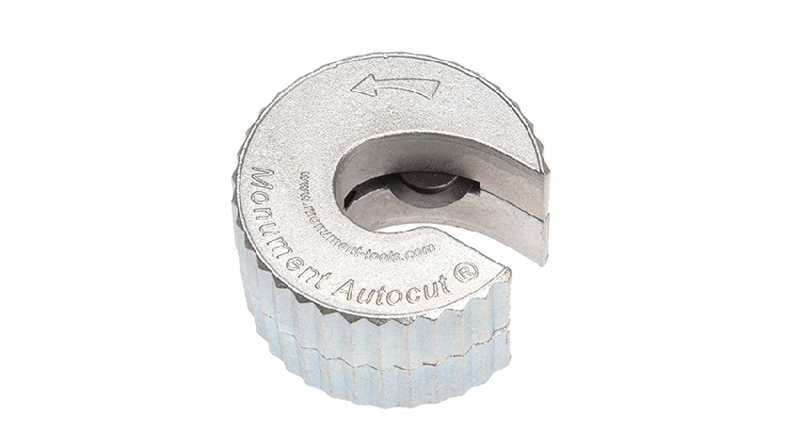 The Monument Autocut Pipe Cutter has an aluminium body. Its compact size means that it is ideal for work in confined spaces.The cutter cuts in one direction to ensure a perfect cutting edge to help prevent leaks and uneven joints. It will only cut the exact size of copper pipe specified.Not for use on stainless steel. Best pipe slice in my opinion. No issues since buying both 22mm and 15mm slices. Other brands I find don’t last as long. So recommend this purchase over others. Quality bit of kit and far more reliable than the rothenberger equivalent. Feels sturdy in the hand and the cut is excellent. Highly recommended. Good slice. Cuts well and easily and feels solid when using it. Used other brands and I do prefer monument now to others. 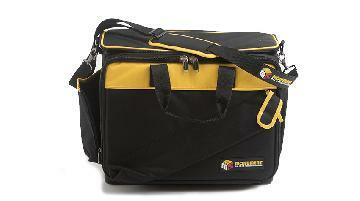 Great cutter to have in your tool bag. Obviously there are different sizes available most commonly used 15 millimeters and 22 millimeters. Build quality is what you would expect and makes clean cuts in some tricky places to normally get to. Best pipe slice had so far and for a great price, on my second set and have also lasted longer than previous brands. Would not buy anything else now. 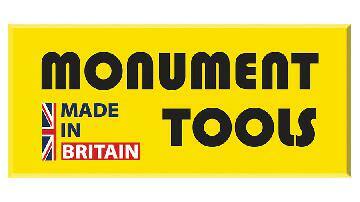 Always buy Monument tools.they are the market leader when it comes to plumbers tools.its as if the owner of monument is a plumber himself and knows what tools to make our job easier. Having used over brands over the years and them failing quickly I went to these.. Had 1 set in 6 years and 1 replacement blade. Last a long time good value for money. Monument tool produce great tools and this slice is no exception,it has a nice weight,and feels like it's built to last.you can pay more for this type of tool,but it's unlikely you will get more for your hard earned cash. The Monument pipe cutters are one of the best I've used, nice sharp long lasting wheel good grip and nicely balanced weight. Highly recommend this product, just remember to give it a spray of lubricant and it will last much longer. Ive been through loads of different pipeslices...probably gone through every brand you can think of, I started with monument back as an apprentice and come back round to them 10 years later and stuck with them for years ...love them! Great tool and seem to be outlasting my rothys. Need to be lubricated once in a while and work great when they do. I have been in the plumbing and heating trade for 7 years now and from day one I used this pipe cutter and still do to this day. Simply because of its design and durability, it feels good to hold and also lasts longer than other brands. I have used the monument automatic pipe cutters for years in all sizes and have found them very reliable. They can be used in confined spaces. The cutting wheel can be replaced if it's damaged or starts to loose its sharpness. It stands up to all the daily knocking about, even when used on water and it getting wet and it picked up dirt from under a floor, it is always ready to provide a clean cut. I find giving the cutter a spray of wd40 silicone lubricant,the best way of cleaning any dirt from around the cutting blade and makes sure the cutter is always ready for work. I hate to loose a tool but if i lost a cutter, the price of them is so reasonable I would just buy another. I have used loads of different pipe slices over the years but always find myself coming back to my Monument ones. The best pipe slice on the market in my opinion. I’m now a big fan of the auto cut, I thought my world had ended when I lost the 15mm one the other day, but everything was ok, amazon sell them cheap as chips at £11.95 next day delivery and the 22mm are only £13.82 on there, top cutters, these are the new standard now. Good quality product, similar to Rothenberger only better value for money. Easy to use, work well, accurate and hard wearing. Takes a few more goes round the pipe to cut than other brands but seems to cut more pipe over time. Feels and works like good quality. By far the best cutters I have used. The wheel seems to last forever. Easy to use if looked after. Little bit of lube keeps the cutter moving freely. Always my choice when it comes to pipe slices, quality seems to last and one of the few things still made in britain. Always used these cutters as they seem to last better than any others. They are very reasonably priced aswell and not too bulky for those tight areas. This cutter is the best on the market for all the pipe sizes. The wheels seems to last longer and the inrollers don't seem to clog up in the same way as other brands. I find that with other brands after a few months start to reem (spiral) the pipe. Got one of these in my blue box and I've used it a few times and seem to be fine, the build quality is pretty good and it cut through the pipe easy. Got this slice in the blue box, tried it today and impressed so far. The spring isnt as strong as my rothenberger slice but that isnt a bad thing, the slice has a more comfortable and positive grip on it than rothenbergers which could come in handy in tight spaces. The slice went through pipe quickly and left a clean cut time will tell how long before it starts tracking overall it feels and looks a good quality bit of kit hopefully wont be long before my 15mm slice arrives! Great tool! Can't do without one of these, well made and does the job with ease! Good value for money! Does what it's ment to do, blade nice and sharp cuts through without leaving burr. Comfortable grip would recommend! What is there to say. It's sharp and fast! What more can you want from a pipe slice! Great! I only gave 4 for the features because well it's a pipe slice. Best slice on the market. Build qauilty is a lot better than rothenberger. Highly recommended these. Best pipeslice going. Can change cutting wheel when needed. As anything they do need tlc from time to time. I purchased a twin set of these 15mm and 22mm from city plumbing. I was instantly impressed with the build quality which is lacking in the rothenberger equivalents. Good product Easy to use. Had my for over a year and still cutting like new. Recommended to anyone. Highly recommend these pipe slicers. Had mine for over a year and still cutting like new. Good solidly built cutters and have not let me down. Excellent pipe slice. Well made and affordable. Accurate and quality cuts everytime. Another example of monuments quality tools. In my opinion the best pipeslices on the market other brands just don't cut it (excuse the pun) British made by a company that has a rich plumbing heritage fantastic. Without a doubt best in class. This has been the most reliable cutter i have ever used. Tried all the others and nothing comes close. Good quality and leaves a decent cut on tube. I only use monument cutters now, total faith in their products .